WINNIPEG, MB - A portion of Balmoral is closed as crews battle a fire that broke out early this morning. 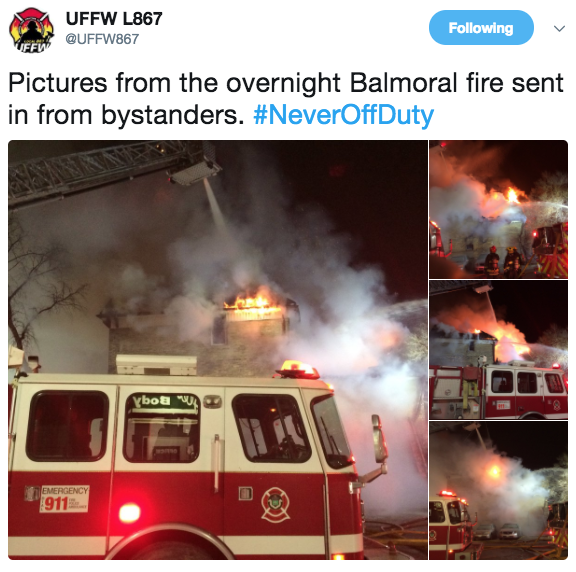 According to a tweet by UFFW the fire started around 2:30 AM. There are no reports of any injuries at this time. There have been reports that Balmoral between Notre Dame and Cumberland is closed and a portion of Cumberland at Spence Street. Manitoba Post will provide details as they become available.